CLIFTONVILLE boss Barry Gray has called for a similar work rate to last month’s Irish Cup victory over Crusaders as the sides meet on Saturday for the third time in the league this season. Crusaders make the short trip to Solitude (3pm kick-off) looking to avenge last month’s 4-1 drubbing in the cup as they focus on wrestling back Gibson Cup. Cliftonville meanwhile, have a re-arranged Irish Cup quarter-final with Linfield at the back of their mind, but manager, Barry Gray is focusing on Crusaders first and foremost and trying to come out of top in what he describes as a ‘massive game’ in the calendar. “They’re sitting on top of the league and they won’t want to get beat, whether it is by us or anybody,” believes Gray. “We just need to go about our business in similar fashion to what we did the last time, when we did beat them and we need to have that same attitude. “What they think or what they want to do really has no bearing on us. It’s a tough game, it’s a North Belfast derby and it is what it is. Gray feels his side benefited from a break on Saturday – with their Irish Cup tie with Linfield postponed and has urged his players to concentrate on the games ahead rather than their past few defeats. “The last couple of games since that game haven’t gone our way,” he continued. “Maybe that result washed things up in a way that we were further on than what we thought. Not playing on Saturday has definitely given us a break. “It’s about starting again now. We have two massive games coming up and it’s important to stay focused on what is most important to us. “Crusaders are not easy turned over no matter what you do or no matter what happens. We just have to concentrate on what we need to do. Liam Bagnall limped out of defeat to Glentoran last time out, but Gray expects the central midfielder to be available for the crunch ties ahead and insists he won’t prioritise one over the other as the Reds search for a first win in three games. “We expect Liam to come back to full training this week,” stated Gray. “He tweaked a hamstring against Glentoran and Saturday past was just a week too early for him.We expect him to be back in full team training and there are no injuries of note at the minute. “Crusaders and Linfield are two massive games and because they’re so close together, we’ve got to look at potentially using more than 11 or 12 players to get through them. “It’s difficult, because we really wanted the games in order, the way it should have been last week – Linfield coming first and then moving onto Crusaders, but to have such a big cup game just a few days after the Crusaders game is difficult. “I’ve already been asked questions like, would we prioritise one game or the other? My answer has been simple – we will prioritise both games. 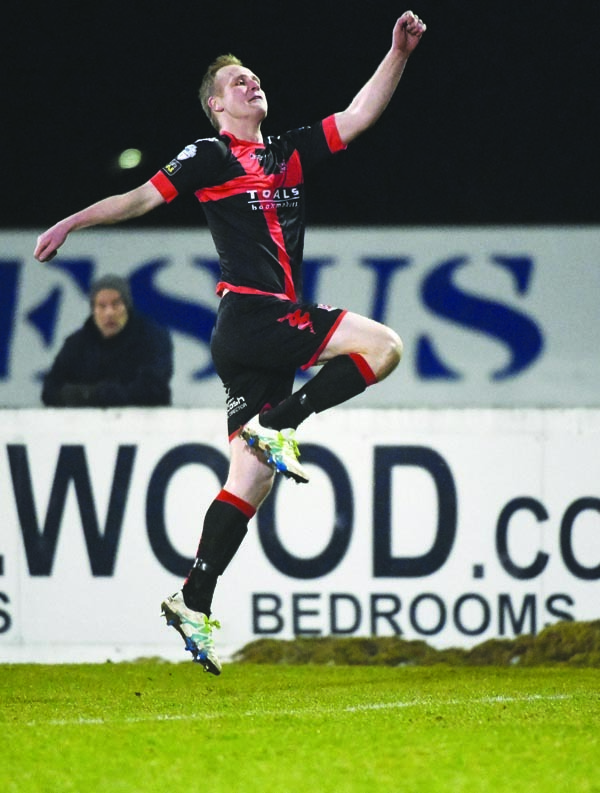 Crusaders, meanwhile, will be full of confidence following Tuesday night’s emphatic 6-1 win over Glenavon at Mourneview Park. Jordan Owens claimed a hat-trick in a performance manager, Stephen Baxter labelled as ‘sensational’. “Make no mistake about it, no one is getting carried away with what we do,” said Baxter. “We have to play our football and look forward to it. We’ve knocked it about rightly here tonight and scored the goals at the right time. “I though Jordan Owens was sensational – back to his best. Over the past few weeks, he has looked that way and his goals were superb.